The Examiner – Jessica N. Abraham | Designer. Writer. Publicist. Playas Mob Radio, a weekly radio show that is based in Fort Pierce, broadcasts out of 6 FM stations around the State of Florida and to an International fan-base of Online listeners. Playas Mob Radio, dedicated to breaking Independent Artists, Businesses and Causes, will be presenting one winning band or business with a promotional radio spot during a high profile show to talk about their brand’s history and any upcoming releases. If it is a band that wins this promo spot, they will also have their latest radio-edited release placed into regular rotation during The Playas Mob Radio Show on WJFP FM. The show will be live on-air and will also be archived for promotional usage for the brand in both Online and Offline arenas. Shorty Produkshins, an Orlando-based Online Promotions Company specializing in Social Branding and Event Marketing and also affiliated with Playas Mob Radio, will be giving away a few items to encourage entrepreneurship, musicianship and, of course, giving during the holiday season and into the new year. They have donated one graphic design and five written articles to promote independent progress in the Pittsburgh Area. In November, WebDAM introduced the World to a solution that would make the lives of Project Managers much easier. They released a “Mobile App for Creative Workflows and Rich Media Distribution, which accelerates Enterprise Marketing and Brand Management Workflows.” According to direct disclosure with WebDAM, today, the leader in “cloud-based digital asset management” makes the announcement that they have strategically partnered with AtTask, a “leading cloud Marketing Work Management provider.” That said, April 23, 2014 is great news for those “on the go” users, because now WebDAM’s digital asset management and brand management software will now integrate the AtTask Marketing Cloud! It will mark a revolutionary beginning to the standard for Project Management and Marketing applications in and out of the workplace. With the goal of “empowering enterprise marketers to get work done fast,” they have created this powerhouse of an integration with the ability to naturally manage digital assets and maximize productivity through a single platform option. Users are always connected to the latest version of any content created by team members. Because multiple users are accessing the same files at any given time, the AtTask integration into the software now allows for “enhanced marketing effectiveness,” while eliminating mistakes and reducing “rework.” Often times, this is the case when implementing large teams into project planning and execution. And, it can be a headache! The AtTask software integration includes “full project management functionality directly to WebDAM’s digital asset management users, allowing enterprise creatives and marketers the ability to plan, monitor, track, share and manage campaign designs, digital assets and their work-related tasks and projects through the entire work lifecycle.” Users are now given the ability to gather and streamline marketing requests with digital files that are readily available, as it relates to the context of the project or task. They will also be able to access all marketing work, content and those related to these project via a single and central source! Current WebDAM users will also now be able to leverage the power of AtTask’s “world’s leading marketing work management capabilities” through the WebDAM platform. WebDAM’s CEO, Jody Vandergriff is also “excited to partner with AtTask.” “Not only do our technologies integrate well, but our core focus is similar-providing the world’s best brands with the most natural and easy way to work,” she states. Adding this great cloud to WebDAM’s Online tools for “managing, sharing, searching, retrieving and distributing creative collaborations,” gives marketers a very powerful tool in overpowering their competition almost immediately, while getting the job done and giving Project Managers a better night of sleep knowing that there is less room for error in the workday hustle. This partnership is something serious and a must have for marketers and Project Managers everywhere! For a demo of WebDAM with AtTask, visit http://www.webdam.com! It’s 2014, and you still have no Mobile Marketing Action Plan? Change that! If your brand hasn’t gone mobile yet, you have fallen behind the norm! According to fishbat, a company spelled with “all lowercase” letters and a leader in Long Island advertising agencies, Internet browsing via mobile apps have surpassed PC usage in January alone with 55% usage! PCs hold strong at 47%, while the remaining 8 percent comes from actual Mobile browsers. This means that 62% of the time that the Internet is being accessed within the United States, it is being done via mobile device! The “smartphone adoption rate” of an increased 39% is actually leading to the PC’s largest decline in the lifespan of PC sales. Let’s face it, mobile devices are more personal, readily accessible, and (depending on phone carrier) free or cheaper than the average PC pricing. Some people would rather share a toothbrush than to share a mobile device. This is an actual report by Hubspot in 2011 that at that time reported “6.8 billion people live on the planet. 5.1 billion of them own a cell phone. 4.2 own a toothbrush.” Those numbers have only grown since then! As the ratio of mobile ownership and usage, in comparison to PC ownership and usage, increases, Justin Maas, Vice President of Client Relations at fishbat, expects that “accessing the Internet via mobile apps is not only more convenient, but, now, due to smarter mobile designs, it is becoming easier to use,” he says. If you haven’t already implemented “Mobile” into your Internet Marketing and Mobile Marketing Action Plans, you better start now. Some companies have redesigned their sites to work on all platforms and appear the same. Others have created exclusive designs only for web. Some have implemented mobile apps, while others are doing all of the above. Take a minute. Think. What will you do? How will you take your brand into the Mobile Evolution? Ever wanted a job so bad, but it just was not in the proximity of where you are currently living? The situation may have been that you either didn’t want to move, or you didn’t want to relocate for the job that you are not sure if you are even going to get. Some of these jobs are actually “work at home jobs,” but you need to travel for an interview and training. And, some of us just can’t afford that. Well, there is newfound hope! Voice Advantage, the industry leader of “on-demand digital interviewing” has now added a live video option to its “comprehensive digital interview suite,” as announced via press release by HarQen on March 4, 2014. Ensuring that top candidates are constantly being recruited by organizations at “every corner of the globe,” Voice Advantage’s ability to help these organization has just gotten a large boost. “Today’s hiring environment often leaves recruiters and organizations overwhelmed with applicants, many who are not suited for the positions to which they’re applying. The challenge is to find the top talent hiding in the masses quickly and effectively. Voice Advantage’s powerful tools help recruiters do exactly that,” is a very understood truth of global business owners, large and small, as highlighted within March 4’s most recent press release. In the hiring process, businesses usually prefer that you meet with more than one management and hiring personnel, what if you had to leave town before the “second interview?” What if you couldn’t afford to travel for any of them? This software also allows recording of the interview process that can be not only accessed at any time, but shared with employers that could not be present at the time of your interview. As a Devil’s Advocate, they can watch the interview without any personal attachments to see if you are a genuine candidate or not. Or, they can give you a second interview on their own schedule. As a matter of fact, there are video and audio recording capabilities to interview even if not available during business hours, which also leaves the doors open for “Internet-Free” interviews for interviewees that have no private Internet connection and have to go in high-traffic, often noisy atmospheres only to share “shaky” Internet connections. The World is against them, yet, they are able to market themselves through the Internet to receive a higher paying job than they would in the area that they are currently in, thanks to Voice Advantage! Today, Thursday, March 6, 2014, attendees of the LEHRN HR Technology Expo in Minneapolis, MN will be able to “test drive” this new software for the first time to prove that it is more than a video conference! It’s a powerhouse! If you are thinking of searching for a new job, you just might be using Voice Advantage’s new software capabilities sooner than you think! A large portion of major social networks and social media sites have been hiring lately. Will you be one to apply? 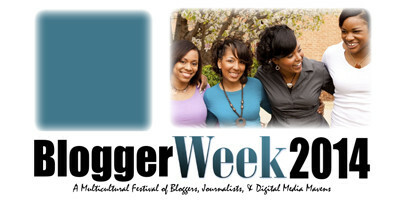 “A multicultural festival of bloggers, journalists and digital media mavens” is what they are calling the first annual Blogger Week UnConference set for the dates of April 28th until May 3rd of 2014 in Washington DC and surrounding areas. According to a February 24 press release, Black Bloggers Connect, a leading social network that connects Black bloggers and journalists nationwide, has, for the last three years, supported over 7,500 bloggers through features, published news, contests and through providing campaign opportunities. This organization is also responsible for the Blogger Week UnConference, which we will begin to see unfold in front of our eyes. The purpose of Blogger Week UnConference is to “provide an informative atmosphere for bloggers to network and share innovative ideas.” Because of this, Blogger Week will hold both Online events, as well as physical ones. These events will include Twitter parties, Google Hangouts, workshops, panels and networking events. This event will continue on an annual basis and is meant to support the blogging community. As a matter of fact, Black Bloggers encourages bloggers to submit session ideas at the BloggerWeek.com website so that their interests are more personally met. There are an expected 150 bloggers to attend, but as an emerging leader in social media, that may actually be a “low ball” estimate, especially as interest spreads surrounding this event. In order to continue the growth of this event and support the cause that initiated the vision, Black Bloggers Connect is leaving room for sponsors, media partners and ambassadors to join in creating something new and unique — not just for the DC area, but for all Bloggers Nationwide! Creating a festival for multicultural channels is opening doors to the World in gaining unity through hobbies, politics, relationships, interests, scholastics, society, fashion and more! What Black Bloggers Connect is implementing to the World of Social Media isn’t just another conference. It is an indirect means of creating peace and collaboration, while inspiring Bloggers to continue on the path of impacting overall society through “The Power of Blogging!” They are leading bloggers to information and innovative ideas through that collaboration of brainstorming and tactic. They are basically creating a new standard in how the Blogging Community operates. This is very important in the overall innovation of how information is to be delivered to audiences all over the World, which not only transfers into Education and Entertainment, but also to Marketing and Civics. By promoting positive ideas and information, we can make this world a better place! Who says it doesn’t “pay for kids to be social?” As a matter of fact, it does. It will even pay for foreign study abroad. Thanks to Panrimo, “a study abroad outfit that will be awarding more than $1 million in scholarships in three different ways,” students from around the United States will have the opportunity to take scholarship into educational institutions and be allowed to get hands on work experience overseas. According to a press statement made on January 6, 2014, the company has pledged to award more than $1 million in scholarships to college students and young professionals, alike, seeking to study or intern abroad in 2014. It is important to note that many social media related internships do not pay and living abroad can be very expensive. This is one-way Panrimo is making innovation more achievable for our next generation. Their goal is to provide more “comprehensive, personalized” experiences to those who wouldn’t necessarily be able to afford it otherwise. Preferred Partner University Scholarship: Panrimo has closely partnered with 58 U.S. universities. Students at these universities automatically qualify for this scholarship to study abroad. There is a full list of universities on the official Panrimo.com website. Social Media Scholarship: Students and working professionals with a love for social media may qualify by applying to this scholarship. Awardees are required to work at Panrimo offices at home and abroad, in “promoting their Panrimo experience, from the time leading up to going overseas, activities done while abroad and re-entry back home. Winners will take advantage of all Social Media facets, including social networks (Facebook, Twitter, Pinterest, etc. ), video distribution channels (Youtube, Vine, etc. ), blog and more! Get Global Scholarship: These scholarships are offered to “true global travel enthusiasts.” all applicants are required to take a 10-question quiz Online to show that they know their geography and deserve to win the scholarship amongst all other applicants. Questions are all multiple-choice and will alert the studio, immediately, of their scholarship award value. This quiz is also available on the Panrimo.com website. These scholarship opportunities find themselves just in time for Panrimo’s new additions to the program, including new cities and course focus. 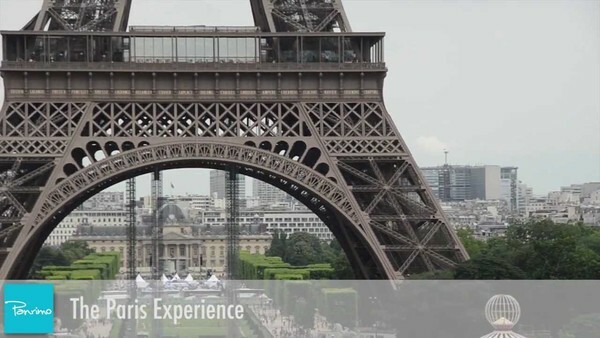 New programs for 2014 include study and intern abroad in Madrid and Barcelona, Spain. Full-time internship positions are available in the summer and fall as related to the fields of healthcare, graphic design, nonprofit management and elementary and secondary education. Study abroad application deadlines are April 1, 2014, while Internship Abroad opportunities end on March 1, 2014. Digital Marketing for Business Trade Show & Conference (DMFB) dates announced. The dates are set in stone. On January 5, 2014, a recent press release announced the second annual Digital Marketing for Business Trade Show and Conference (DMFB) to be held in Raleigh, North Carolina. On May 6, 2014, the Raleigh Convention Center will be the destination for many in the fields of Internet Marketing, Digital Media and the businesses in search of the perfect tactics for future Internet Marketing campaigns. In its second year, DMFB Raleigh will hold a three-day event that will empower more than 1,100 business owners, entrepreneurs and Internet Marketing consultants through conferencing, seminars, an awards show celebrating 30 marketers evaluated by 5 independent industry judges, exhibits, workshops, surprise activities and more! To start, There will be 42 sessions in total that will cover 3 tracks of marketing familiarity. These tracks are for the small business, the enterprise and the expert. A list of 70+ speakers, with successful Internet Marketing experience will be engaging audiences during these sessions. In addition to Internet Marketing sessions, there will be 21 workshops that will provide “how-to” trainings on key marketing activities in standard business operations. Topics of training will cover Pay-per-click Marketing, Social Media Marketing and even E-mail Marketing with analytics. Attendees will discover proper techniques and learn what they may currently be doing wrong, as well as how to improve those current techniques that are being executed properly, to convert more consumers into actual customers and clientele. Attendees will receive incentives for attending the event and participating. One of these incentives will include the Raleigh Marketing Directory with is a ‘listing of over 1,000 marketing product and service companies in Raleigh, NC.” Online presentations, white papers and video interviews will be available to remote attendees and those that would like to gain extended knowledge on the topics of Internet Marketing, Social Media and all current trends in marketing. If you visit the DMFB 2014 website, you will find opportunities for sponsorship, event registration, speaking opportunities, and even the chance to volunteer at this event. Joining the mailing list will allow you to stay up-to-date on event information. Areas of the site are shareable through social sharing features. As the event proceeds to commence, one will find schedules and speaker information within the site, as well as links to Online materials related to the event. If you are a business owner, or a part of the marketing industry, you should really consider traveling to Raleigh for this special 3-day event! Voices.com empowers voiceover talent with insight on 2013’s voiceover industry. “In the midst of a digital revolution,” Voices.com, an International voiceover company, speaks on voice models (or voice actors) and the potential of their careers after releasing a 2013 report on the voiceover industry, released December 31, 2013. The Voices platform claims over 200,000 registered users that are actively using the site and an array of beneficial tools found therein, each month. They each have the ability to promote their services through personal profile pages. Each page is able to be shared through social sharing options and connect directly to voiceover talents, who are also reviewed by previous contractors. Each page contains voiceover demos for potential employers to critique. This leads to massive optimization of the website in multiple search engines and shows us why they are “number one” in the Online voiceover markets. A SWOT Analysis was performed through this report to find the “strengths, challenges/weaknesses, opportunities, and threats” faced by clients and talent within the site and the industry. The report includes statistics, as well as insight to understanding the industry’s current trends. A focus on “how the momentum of digital technology has resulted in the industry’s steady reliance on the internet.” Trends are addressed concerning how standard business for a voiceover is executed. Voices.com has been the destination for voiceover talent since 2004. They give “ordinary people” the opportunity to compete with professional voiceover talent by servicing companies like: “ABC, NBC, ESPN, PBS, The History Channel, The Discovery Channel, Sony, Audible, Comcast, Bell Canada, Google, Microsoft, Cisco, Western Union, American Airlines, Toyota, Ford and GM as well as organizations such as the US Army and the US Government.” In just ten short years, they have accomplished so much by creating a standard for the employment of voiceover talent through digital means. It is clear that Voices.com wants to make the site work for all parties involved, as they include forums, apps, articles, e-books, infographics, webinars, scripts and a plethora of additional options, in creating the perfect portfolio and polished product for commercial consumption. As businesses are in need of content generation for social platforms and digital media releases, more and more are turning to websites like Voices.com for instant hires. Users are ranked within search engines and within Voices.com’s own platform based on demand, optimization and type-of-membership. Paid memberships ensure higher positions within the platform, still they compete for the top position within it. Are you interested in becoming a voice over talent? Make sure to check out the following report to find what it takes and how to excel in such an exciting career: The Official 2013 Voice.com Report. It is no secret that having a cause that supports the community attached to your company’s mission or special event drastically affects your turnout and support rates. Companies that give back to the community often find that they are more embraced by the community than any other business that does not. If your company is dedicated to humanitarian efforts, you will see your brand succeed at a much higher rate due to this support through viral efforts and Word of Mouth instances. We have been seeing for years that companies will hold special marketing campaigns that implement local charities and organizations into their execution plan. We have been seeing these campaigns soar, because these companies return a percentage of sales and donations to these specific charities. Non-profit organizations (NPOs) will then continue to distribute free marketing resources to the brand in exchange for the campaign cause. Additionally, the brands often donate tickets, products and services to the NPOs in creating furthered awareness for the brand. Some causes are genuine and “from the heart.” Very unfortunately, however, there are other brands that only implement these causes for personal and corporate gain. 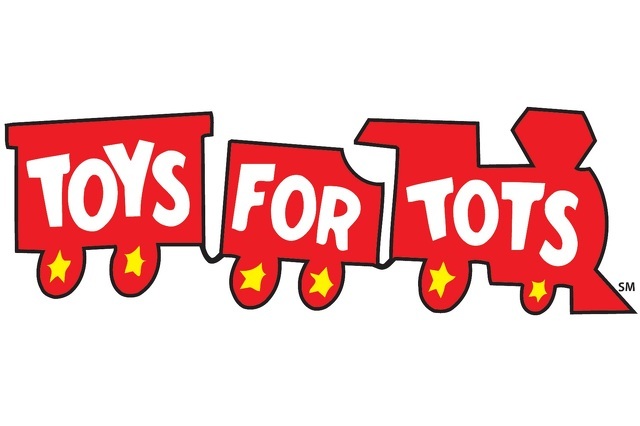 For those brands that are truly interested in supporting local causes, charities and NPOs, there is a new and easy resource available in collecting funds for these causes. Box office agents are prompted to ask patrons to add a gift to their ticket purchase. Of course, events may be able to collect funds from direct ticket sales, but TicketForce has basically made the process easier and business more diplomatic, as a third-party advocator for the connected. Think of this: If greed were to become a factor, a venue couldn’t claim that they weren’t paid properly or that they didn’t make as many sales as they did, and neither could the NPO. Furthermore, those supporting a cause may feel more comfortable knowing that their contributions will go directly to the charity of their choice and may even donate more to the cause. Specific reporting is made available and separate amounts can be distributed automatically, ensuring future opportunities between venue and NPO. If payment delays were to occur, TicketForce would be responsible, as well, eliminating possible conflict between the two participating parties. TicketForce may just find itself becoming the leader in its niche once these concepts and practices are adopted by promoters, Worldwide!